Snap your lip for the trip. Hot clip issue, you see. Her mother’s button box was beautiful and long with a brown paisley silk cover. The clasp was small and silver, perfect for her young fingers, the interior a soft satin pink, a suitable home for magic buttons. And they were to her, at least. For hours she crouched on the floor beneath her mother’s sewing machine ordering them from big to small, shiny to matte, translucent to black. It wasn’t until she was older that she realized maybe it wasn’t the buttons that were magic but the uninterrupted time she spent in her mother’s presence. When I was five years old, I loved my rag doll with her blue pearly buttons for her eyes. I took her everywhere with me. One day the eyes went missing. My brother Tommy had taken them for his shirt and I went mad trying to get them back. Mum said she would buy new buttons for Tommy’s shirt and sew my ragdolls eyes back on again, but somehow she never got around to it. Tommy loved to push his sister’s buttons. The more he did it, the easier it became. Before, it took gum in her hair or garlic in her milk. Now, even the slightest sideways look could send her into a funk. Tommy bulged his eyes and sucked in his cheeks. She glanced his way with a frown, but failed to catch his fishy face before it disappeared. Tommy pulled back his lips and stuck out his tongue. This time she caught him. “Tommy!” she wailed. Then she made her own face. It was red and tight and wrought with temper. Two lads, reviewing the previous evening’s campfire conversation, dug stones from the bank, inspected each and competed to land one further in the creek. The catalog provided a masterful display in the brevity of its pages. Satin edged sheets and pillow cases in a rainbow of colors, that one only needed money to buy. She created her illusions and dreams with empathy and finesse. Knowing that any Cri De Coeur would never be heard by a real lover. The central heat had been disconnected. The nostrum she had made to ease her chills would shatter like every other frozen pipe – Cold fingers rested on the gold tone buttons of her wool coat… Thankfully, the new neighbors weren’t afraid to check on old neighbors. Granny Ruth made the best cookies in the world. They were sweet, crunchy and filled with chocolate chips. Alice was staying at her grand-mother’s place for the holidays, and though she already had her share of cookies for the day, she wanted more. She had seen a cookie box on a table in Granny Ruth’s room, so she tiptoed in and tried to reach the box, pushing from the sides, for the box was too far from the edge of the table. The box fell and all she found were buttons, small, big, patterned and flower-shaped instead of cookies. I placed my knife and fork together gently on the plate, and wiped my mouth with the fine linen napkin. I leant back in the chair and sighed a deep, contented breath. As I exhaled, I felt uncomfortable pressure – my pants, digging into my rotund belly. I furtively glanced around the restaurant, sure that no one was watching, reached down and popped open the top button. “Everything ok ma’am?” a waitress asked, as she cleared my empty plate. She looked pointedly at my stomach. Outside the log cabin, Joey gazed at the groves of tall conifers in the early morning sunlight. A pair of great yellow eyes, like enormous buttons, studied him from the dense thick branches of a towering pine tree. The next moment a great horned owl rose into the clear skies like a winged tiger. With trembling hands, Joey focused his camera. His right eye blurred with grateful tears. His left eye was damaged by a tumor. In his mind’s eye he saw the tiger owl. In his heart he was certain he would create wood carvings and engravings again. Fastening that top button on my shirt was a struggle in more ways than one. This was never planned or wanted. Yet Gladys looked so radiant in her outfit, I hadn’t seen that glow since she had the kids. Knowing how much this meant to her was the boost I needed to continue. The kids couldn’t be here but they would see the video. Expected when they all live in different countries. Seemed wrong to get an AO just because I did my job. Besides two of our unit didn’t make it home, so the mission wasn’t really successful. 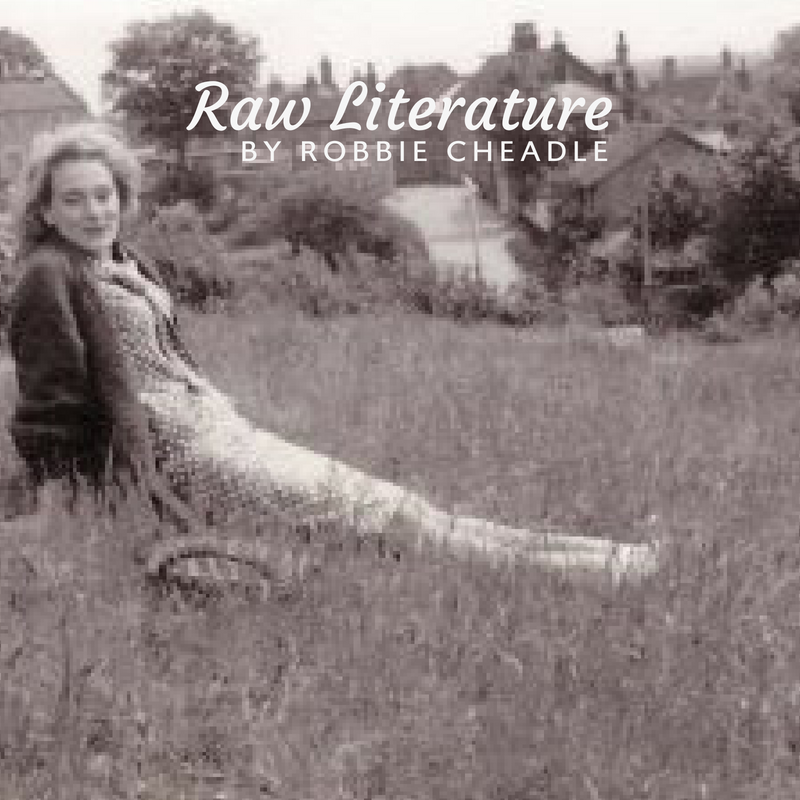 Sitting alone in her ramshackle cottage, the old lady grumbled as she sewed torn buttons back onto a shirt. Her rickety fingers were not as nimble as they used to be, and the needle was looking blurred through her cataract-ridden eyes, but she’d promised this very shirt to her grandson, so she soldiered on. An auditor’s job has never been easy. One has to raise the right objections, make the right recommendations and not leave any point untouched. There could be pressure to keep the warts concealed from public view. I believe in professional ethics, and writing each word of the audit report was a challenge in that organization. I stitched and patched up all I could. The final cover was a professional shirt with special buttons – which acted as a closure, yet revealed enough to arouse curiosity and suspicion. It was the job of the fraud investigators to take up from there. Being self-employed is a luxury. Sam doesn’t set the alarm clock. He goes to the gym at 9:00 a.m. when people honk their way to the exit lane. Looking at 16,000 columns and 895 rows of data make his eyesight fuzzy. The query narrowed it down to 90 columns and 75 rows. Oh, no! He pressed a wrong button, missed one zip code. Doing it all over again. No one shares his stress. It’s time going to his laughing buddy. A button on the monkey’s tummy he pushed. His hilarious is contagious. Sam can’t help but laugh with him. The fabric artist examined her crazy quilt creation that had an outdoor theme. It needed some bling that would make it more interesting, but she couldn’t visualize anything working. They had lunch then went shopping for buttons, not the button-your-blouse type, but the fun ones at the craft store. Carrie picked out trees, a bear, a moose and some birds. Back home they had a sewing lesson; a child was never too young to learn how to correctly sew on a button. Boy, can she can push my buttons? I walk into the family room, lean down to fold an abandoned blanket, and start collecting the empty glasses. The room is in shambles. “Deal,” I leave the room quickly, step out onto the deck, and close my eyes. Breath, just breath. Someday you’ll wish she was here, making messes, pushing buttons. I pressed “1” dutifully on the telephone keypad. I bounced my knee in rhythm, watching the walkers pass by my window. My fingernails were chewed stubs. Poke, poke. I pressed the buttons, referencing a notepad. Silence while the computers talked to each other. I threw the phone down, cursing. I had nothing left to live for now that people no longer connect offline. I was basically a dinosaur. A generation before the need to connect digitally. So, when I saw the commercial for a way out, I knew I had to buy it. I was surprised it came in such a tiny box. All that was inside was a red button. I took a deep breathe and then pushed it. Everything shut down. I sat in the dark realizing how much technology I had relied on, but now I was finally free to connect to my life again. “Button it,” the voice behind her said. All she had done was tell him. “No, I won’t…” she tried again. She tried to twist away, but his shaky hand now covered her mouth. She bit down hard. He howled and let go. In the room they shared at the summer cottage Sissy now became the hero, gently helping her unmoving sister get ready for bed, speaking soothingly, her little fingers carefully unfastening each button, bravely ignoring the bruising. Silent tears rolled down both girls’ cheeks. Sissy slipped silently into her seat, her lip quivering as she watched her sister ease carefully into her chair. Their grandmother made a phone-call before gathering them close, rocking and humming. The humble soldier returned to his hotel room after being awarded the Medal of Honor. The President called him a hero because he had saved a few lives and his group had stopped the enemy from using their supply route for days. As he unbuttoned his uniform he relived the scene as he did night and day; smelly dead bodies strewn around him, cries of pain from his own men and burned shells. Some hero; in the mirror he saw a murderer and a failure. He had killed theirs and not been able to save all of his own. It arrived by nighthawk, the final ingredient to heal our planet, corrupted to near-extinction. I swear on this drear day, we shall be made glad. Blood of Medici, Machiavellian tell. A shock wave rolled over the barren plain, unrolling a carpet of bluebells carrying the trill of pond life and buzzing bees. When my grandma Mae was a young wife, living in Akron, elastic had not yet been invented. She said she was walking home from buying groceries, past the local tavern, both arms loaded with groceries, when the buttons on her underwear popped. She said she hesitated for only a brief moment, glancing at the men lounging against the light poles and stumbling on the street. She never knew if her buttons came unbuttoned or if they popped off—because she simply stepped out of her underpants and walked the rest of the way home, leaving them on the sidewalk. She’s dreaming, but she can hear them rattling inside the powder box. Grandma’s button box. She feels them between her fingers, sees them with her dream-eyes. Bone ones, feather-light carved wood ones, painted china ones, cloth-covered ones. Stamped brass and pearly shell. Lady Lees couldn’t stop looking at it, a large, button, unlike any she had ever seen before, it seemed to have been created by sewing. The farmer’s wife, saw where she was looking. “Funny old button isn’t it. They used to make them Shaftesbury way, but no one knows how to make them anymore. Have it.” She bent, and cut it from her apron. She sought out more buttons, and at last a frail old lady, who said. “Buttony, of course my dear.” And picked up a needle and a tiny brass ring. The lost craft was saved. The true tale of how the craft of Buttony, making Dorset Buttons, was saved. Yard sale buys are bargains true, but not all the pieces came with the multi-layered game. Missing checkers, no problem – got a box from another sale somewhere.Same with chess pieces – no black to whites counterpart. Snakes and Ladders, Chinese Checkers, Checkers, and Chess along with a modified Parcheesi board too. Old Maid and Go Fish decks also double six dominoes are all good to go. There is Solitaire and Mancala too. Dice are also an easy replacement, but what to do for Backgammon – fifteen dark, fifteen light discs needed. Dark and light round buttons! Yes, they will do. With a half-smile, the hallmark of her uncertainty, she reached into an old jewelry box for a series of shell buttons attached by plastic fishing line. He recognized it as a necklace by clasps that screwed together at the end. “I made this for my mother when I was 10,” she said proudly. “Looks like it, too,” he snickered. “You have the face of an angel,” she said. No use explaining how badly he’d failed the button test. The door slams as I drown under the weight of another misunderstanding. How did this happen? Why? Five minutes ago we were smiling then…the storm blew out and the empty house surrounded me…. I sighed and moved to the bedroom. A pile of mending waited next to the rocker and my hands were as empty as my heart so I sat down, picked up a pair of his shorts, and began to sew the button back on. Now, here I sit, looking down at the mended shorts in my hands, wondering why relationships can’t be as easy to heal. He loved collecting buttons. He called himself a collector, and he was right in doing so. His collection was quite vast, and quite varied. It boasted of buttons of different colours, shapes, and sizes. It contained buttons from all the parts of the world – Europe, Asia, The Americas, and of course his very own India. 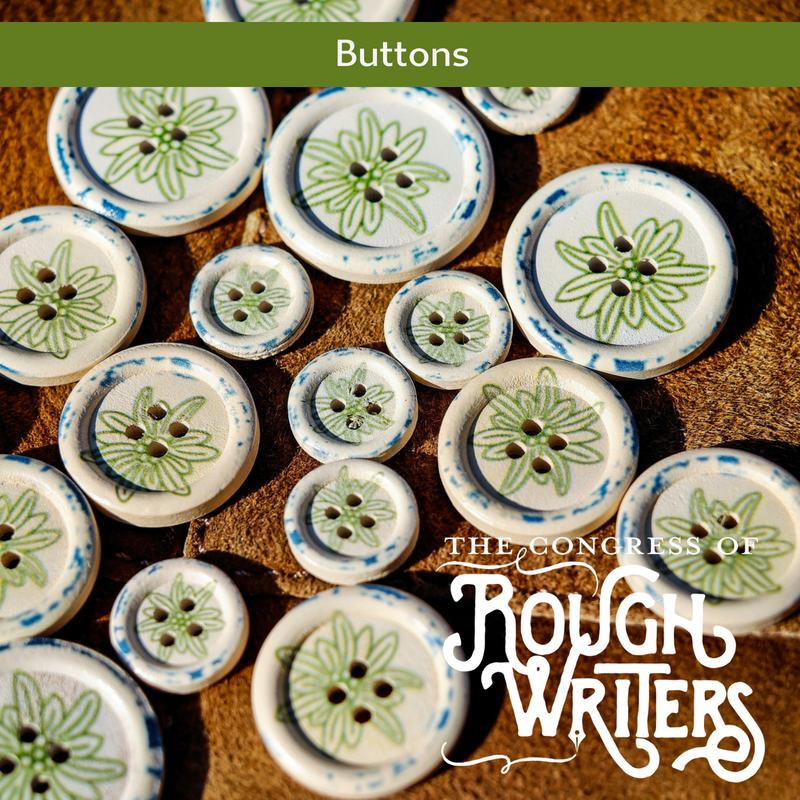 However, he was finicky about the condition of the buttons after he procured them. He made sure to give them a wash right before framing them in his private collection. Afterall, buttons stolen from the clothing of murdered tourists, tend to be unclean. Ono played with the buttons on her husband’s shirt. He sat on the patio staring off into the wilderness. She had served as his planning lead when they were in the military. He had been all of 14 then. Who appoints a child as a military officer? He had performed brilliantly though but it was all catching up to him now. She smelled the shirt. The night sweats were still there. And the hole in the wall there. She thumbed her phone. He needed help she could not provide. He deserved help, she deserved peace. As far as it went he was great, he could tap dance, he could sing. He played the guitar with flare, he could quote Shakespeare, walk dogs while drinking coffee and express himself in five different languages simultaneously. Woman sighed when he walked past, men glared at him with envy in their hearts, children hung on his every word … all adored him but one. She knew his secret, he knew what he feared, she was him Mother and to her he was far from perfect. She had tried everything to change him … but he still feared buttons. Mommy wants to offer snaps but to become a man, he has to learn to use buttons. His hands are small and the process is difficult. How it hurts a mother’s heart to watch him struggle. But the point of learning to use buttons is to overcome the struggle he will face as a child and as a man. She knows that throughout the years, she can’t step in and fasten all of his buttons in life. So, she watches his tiny hands fumble in hopes that the hands of the man won’t have to. A Mother’s boundless love. Sally flashed a smile at her father, before turning away, tears welling up. It had been over sixty years since he was last able to do his own buttons up, having lost the digits of both hands whilst serving his country. Her dad, a true hero. Danni didn’t want the buttons. They sat in a jar on her shelf by a faded photo. The night Michael accused her of hoarding artifacts, he didn’t mention old buttons. Today, he asked. “Mom’s,” she answered, looking away, sitting on the floor. After he left, the house echoed ghosts – the mother she never knew, Ike’s booming voice, the dogs barking. She smashed that jar, buttons and glass scattering like those she had loved. Picking up the pieces, button by button, she resolved to quit hiding in the house. Finding the button in the drawer, Henry was six again. He licked the grooves, but he couldn’t taste her. He sniffed the Bakelite, but couldn’t smell her. He smoothed the underside across his cheek, but couldn’t touch her. Still he remembered her folding his fingers around it moments before she left. Henry’s shoulders sagged. 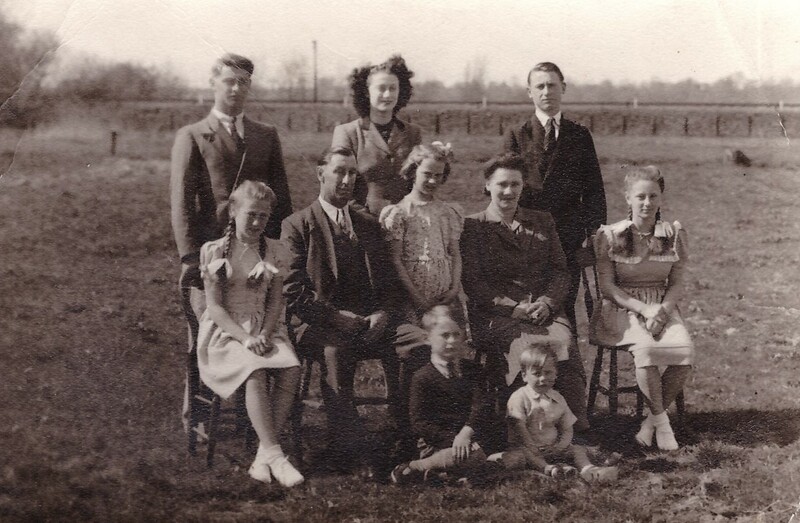 Even in those austere times, a button was a shabby gift for a small boy. Yet his memory insisted. Tilly crouching in the hallway, her brown suitcase alongside. Entreating him to keep the button safe until her return. Fifty years on, he was still waiting. Claire never really got to know Antoinette, who never used American phraseology when a foreign or sophisticated word would do. When Antoinette wanted quite she wouldn’t use the term ‘Button it’ or put a pretend key to her mouth, or run two fingers across her lips for quiet. Step-mother and Step-daughter could have been friendlier? Lay hidden in the folds. Or extra to hold up her skirt. Of putting in a zip! God, how I miss them both and their sense of humour. When Elizabeth was a little girl and her family lived in the one-room sod house, her father made all her play things. Her favorite was one of Mother’s buttons in the middle of a string. She would flip the string over and over then watch the button spin as she moved the string closer together and farther apart. 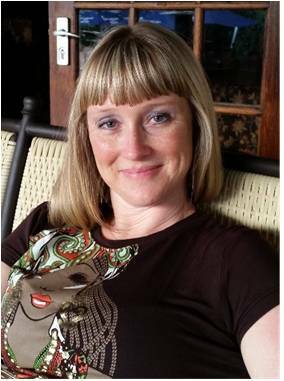 She lived with her granddaughter, Katie, and her family for seven years until she passed. Every so often Katie or one of her daughters will find a button laying on the floor or attached to a string. Grandma Liz saying hello. Her face was so solemn, like the face of a Victorian schoolteacher. Her eyes were like wide dark pools. Grace studied that serious, tense face. She was buttoned to the throat. She undid the top button at her collar, just so, and managed a smile. Working with technology can be stressful, especially when you are the one tasked with fixing it when it isn’t working correctly. Some people handle the stress easily while others become anxious. After all, everyone from co-workers to management wants to know when it’s going to be fixed. Having people stand over your shoulder just aggravates the situation more. That’s when I had the great idea to create something that would help with the stress. I created a portable “Panic Button” to share with anyone who was stressed. It’s amazing what a little laughter can do to help exasperating situations. The boy hid near a copse of trees. All around him, the sound of gunfire sputtered and pinged. Tears stinging, he pulled the drum closer, waiting for a new command from the general so he could muster the troops. Scared, he slipped his hand into his pocket and fingered the buttons he had cut from the coats of the enemy. Each button represented a win. He had survived the battles and lived to beat the drums to victory. Until today. When the men found him the little drummer boy gripped a sting of dirty buttons—his legacy of death. Buttons. They pressed his regularly without fail. This had been occurring for years. His soul had been worn down to almost nothing. Some of the buttons were stuck, the wording on others had worn away and some had disappeared, vanished without a sound. Yet, he still functioned but at a cost. The angel watching him laid a gentle hand on his arm. It was time to heal and receive new buttons. Ones no one would be able to touch. Light flowed from the angel to the man. He sighed deeply as the healing transformed him on all levels. Peace. The well has gone dry, writers! 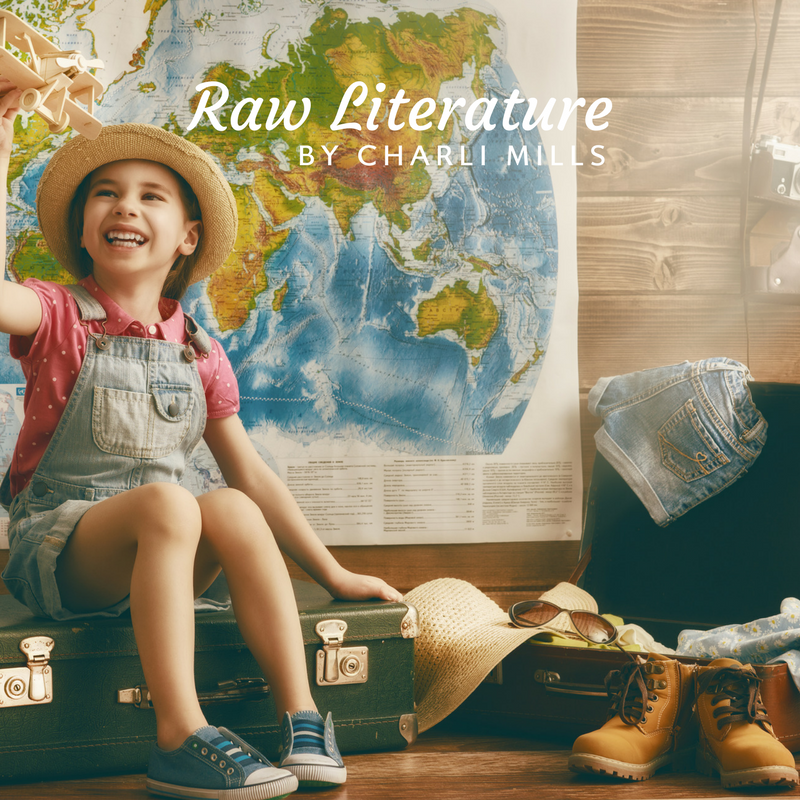 We’ve had a terrific run of guest writers who have explored and shared their creative projects and processes through the Raw Literature series at Carrot Ranch. I’m not convinced we’ve run out of creativity to share because the well is deep and we just need to go further. To build your writing portfolio. To expand your writing platform. To bring visibility to a book you or another community writer has published. To try your hand at an advanced creative writing prompt. To get better acquainted with the community at Carrot Ranch. 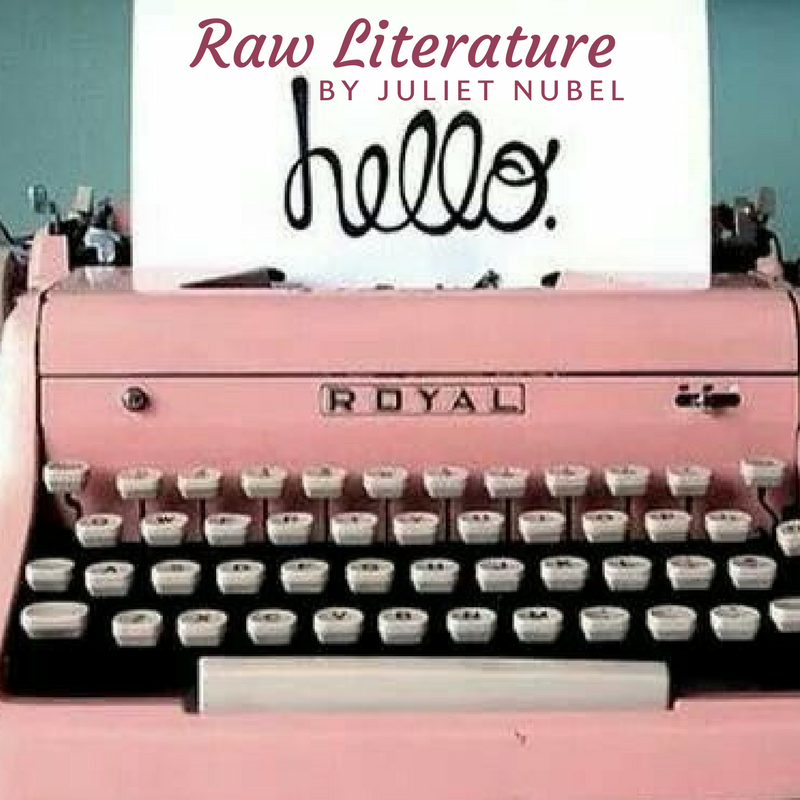 Raw Literature explores the creative process and early creations in writing. The series is an ongoing conversation about those first works we create as writers, as literary artists. 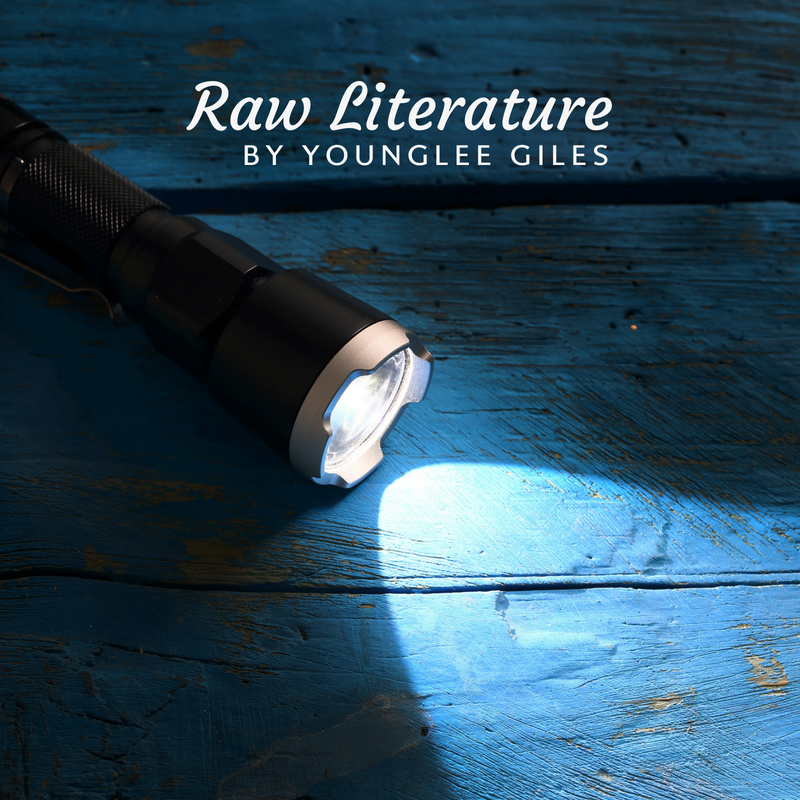 Guest Authors share personal insights on their craft, process, the experience of creating raw literature and what they do with it. Platform shares successful marketing tactics for authors or bloggers. Carrot Ranch upholds that every writer’s platform is different according to how it’s built from the basic bricks that include branding, credibility, community, and target audience. This series examines how to use a platform for marketing books or developed content. New! Peer Book Review is intended to grant space to regular writers and readers of Carrot Ranch to share the books of others in the community. Many of the Rough Writers & Friends are authors, and you can find a variety of good reads on the Books page. Reviews are the best way to support authors, and this series seeks to encourage peers to offer thoughtful book reviews. 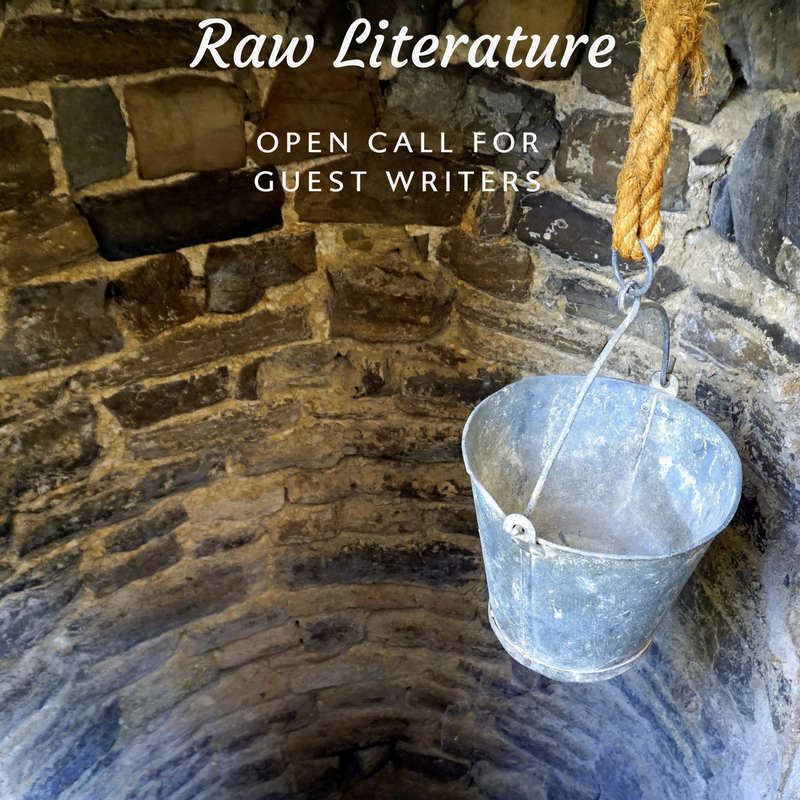 In addition to guest essays, Carrot Ranch challenges literary writers to push their craft with Advanced Flash Fiction. If you are interested, you can take these advanced challenges at any time. Post on your blog and link back to Carrot Ranch or submit as a potential guest post. History Challenge encourages writers to dig into the past to find forgotten stories. Possible places to look include one’s own family tree, vital records, scrapbooks, school yearbooks, archived newspapers, town histories, local cemeteries and old house records. The idea is to start with a name and date of a person’s lifespan. Using local libraries, museum reading rooms, state archives or online sources, piece together vital facts and imagine a story. It can be told in one, three or five flash fictions of 99 words each. Ultimate Flash Fiction Challenge imitates the five steps of writing a book. It’s a progressive, five flash writing activity. Your own results will surprise you and improve your approach to book writing. This advanced challenge welcomes all writers, especially those who write books or want to better understand how. You can submit a post, essay or story to wordsforpeople@gmail.com.